Release the power of the panzer! 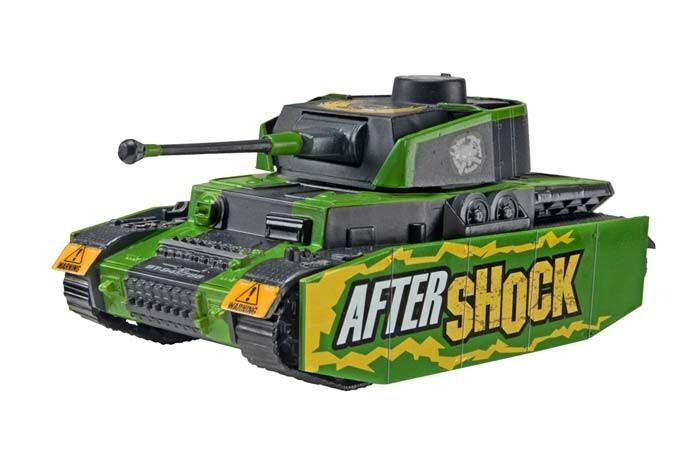 The After Shock is a force to be feared with heavy armor and a powerful main gun capable of knocking out the heaviest tanks. This tank can totally trash even the most tenacious targets with tungsten-tipped ordnance! Snap it together and roar off to victory! Snaptite kits are perfect for introducing new modelers to the hobby and history. This kit features glue less, snap-together construction, pre-painted polystyrene parts and illustrated instructions.